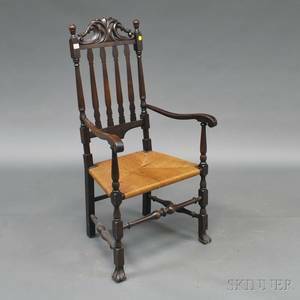 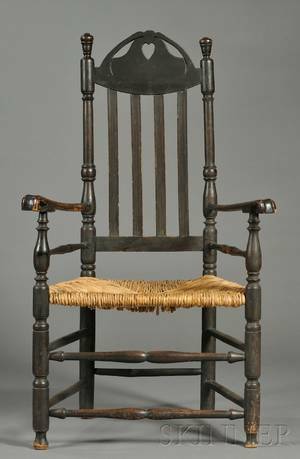 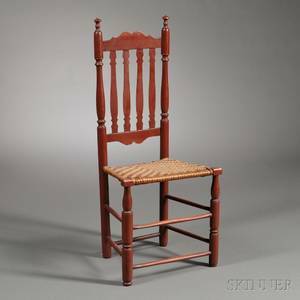 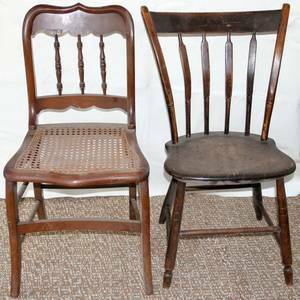 Spindle back side chair with rush seat, William & Mary Period, from New England (likely Connecticut or Massachusetts). 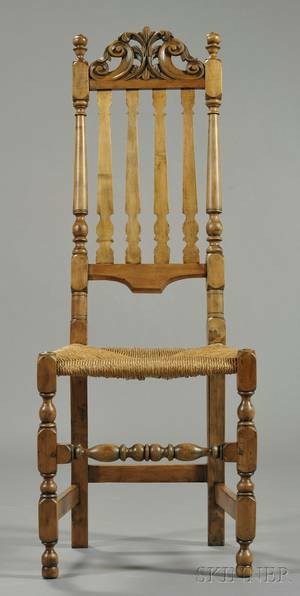 Height 43 inches, width 14.75 inches, depth 12.75 inches. 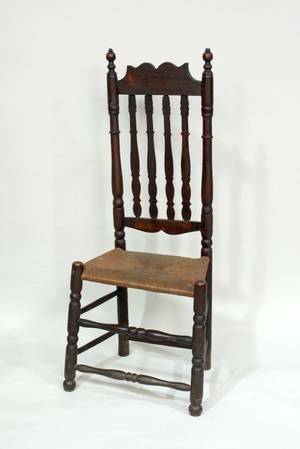 Seat to floor 16.5 inches. 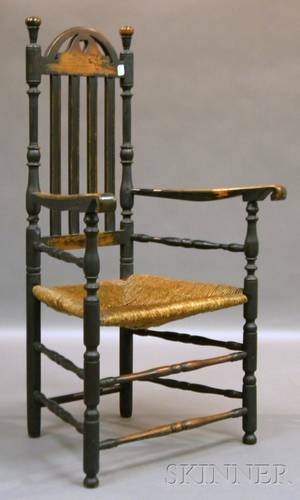 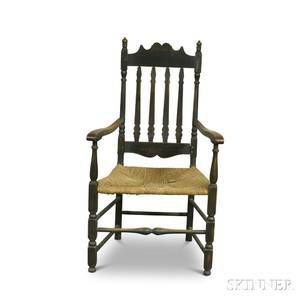 Black-painted Wooden Bannister-back Chair with Scrolling Arms. 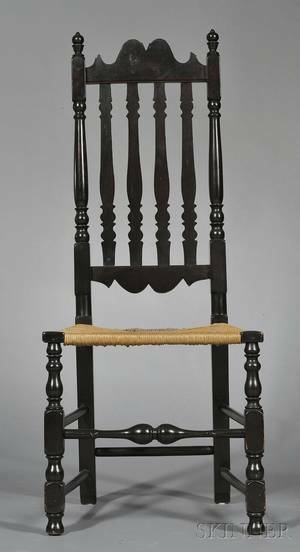 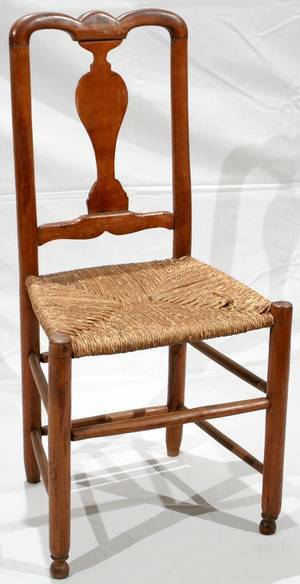 Black-painted Bannister-back Chair with Carved Scrolling Arms and Woven Rush Seat.